If we had had turntables like this one when records were popular, they never would have been replaced with other technology. Of course you have to play the Star Wars soundtrack on an R2-D2 turntable. It’s mandatory. It is an amazingly geeky and awesome design that must have taken quit a long time to complete. 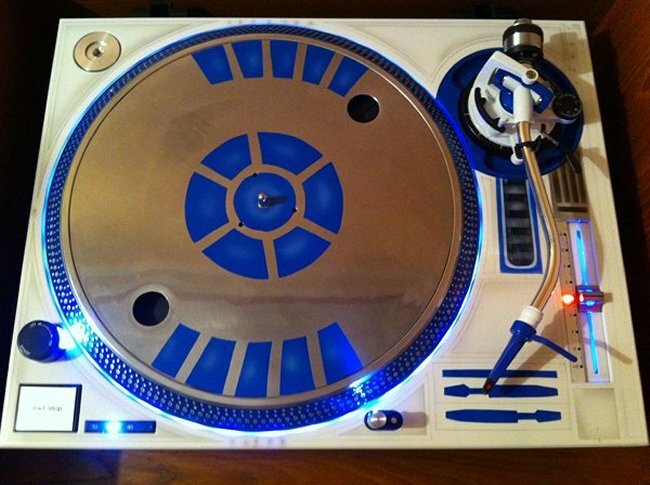 It’s perfect for the DJ who wants to play in the Cantina all night long. When you take a break, just put a restraining bolt on it to keep others from using it.